Capturing your Wedding Day with photography and videography is the perfect way to remember every detail of the bride and groom's special day! Choosing the right photographer may seem cumbersome and overwhelming, but here are some suggestions for finding the best one to expertly capture your special day. The best photographers book their schedules roughly one year in advance. A good starting point would be to ask your coordinator at the venue where your reception is booked if they have a suggested or preferred vendors list. Friends and family can also provide some great recommendations based on their experiences with photographers and videographers as well, or may be able to suggest friends or family members experienced in photography and videography who would be able to cover your special wedding day. Look at wedding photo samples to get a feel of the photographer's work. Once you have a list of potentials companies to hire for your wedding, consider meeting with them in person to discuss their rates and review their portfolios. Remember, you are not just getting pictures that will be posted online; you may be interested in prints or albums, so it is important to see the quality of the products you will be getting for the price you’ll be paying. Also bear in mind that it is a good idea to look at a completed photo album from start to finish in order to get a sense of the photographer's time sequence and quality. Prioritize your package needs and consider your budget. Photography and videography can be a big ticket item on your budget if it’s a priority for the wedding couple. Packages can be expensive, but be sure to consider what items you definitely want included in remembering your day, and what parts of the day you definitely want covered. Consider the length of your ceremony and reception, and whether or not you want photos or video from the pre-wedding fun and excitement. The average wedding package is 4 – 6 hours for the reception alone, plus the length of the ceremony adds at least another hour. Already you’re looking at a 7-8 hour length of time to book the photographer for. It is common for couples to get at least one wedding album of photographs outlining the day from getting ready with the bridal parties to the married couple leaving the reception together. In the digital era we’re currently in, many couples prefer CDs with all the pictures on it to post online or email to friends and family. The benefit of asking for a disk to be included with the package is that you can also order reprints of certain pictures upon reviewing them with your partner, friends, and family, and receiving feedback about what pictures (if any) they would like to have from your special day. Videography can also be an expensive add-on to your photography package, so if you can, try to bundle the packages together with your photographer. For the videography, still consider the length of time you may need to book the professional for, and whether or not you want video taken of the bridal party getting ready prior to the ceremony. 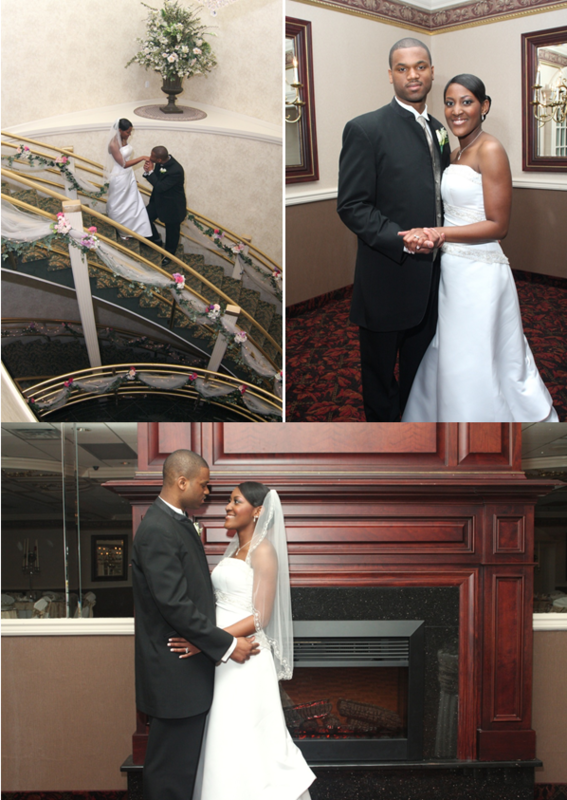 Also consider what items you would like included in our videography package and what matters most to you (i.e. do you want a full length, unedited video or do you prefer a feature –length collection of highlights throughout the day?). 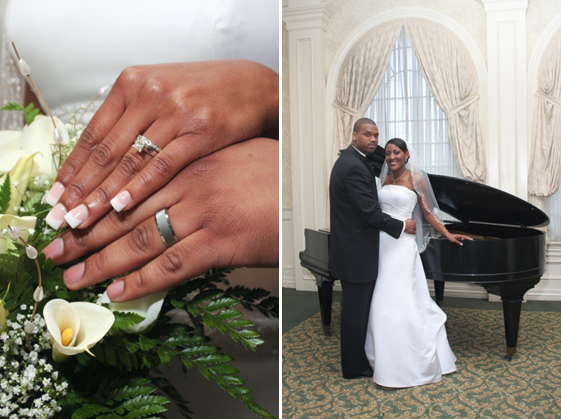 Photography is vital in capturing and preserving the essence of your wedding day. It is a great way to capture all the fun and excitement of your special day and to preserve the happiest memories for every bride and groom to savor by looking back at beautiful photos! Every girl loves getting ready for a big night, especially when it’s her wedding!! Have some fun with your bridal party and capture some great photo keepsakes while you’re getting your hair and make-up done. Above are some samples that we absolutely love! Here is a super-cute idea to keep in mind the day of your wedding. Have someone take this picture of your bridesmaids on their phone to send to the groom minutes before the ceremony starts. It’s a fun way to heighten the anticipation, not to mention a cute memory to preserve of your wedding day! This next image tops our list for a must-have wedding picture. 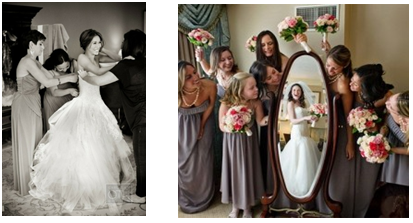 It is a moment sometimes overlooked by the guests, but one of the most important to the bride. You’ll need multiple photographers to capture this extra special memory. Have one focused on the bride to capture a shot of her and her father as they enter the ceremony and begin her walk down the aisle. 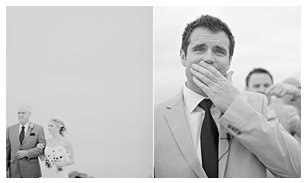 Have another photographer focused on the groom to capture the expression on his face and the emotion the very first time he sees his bride. You’ll be glad you did. 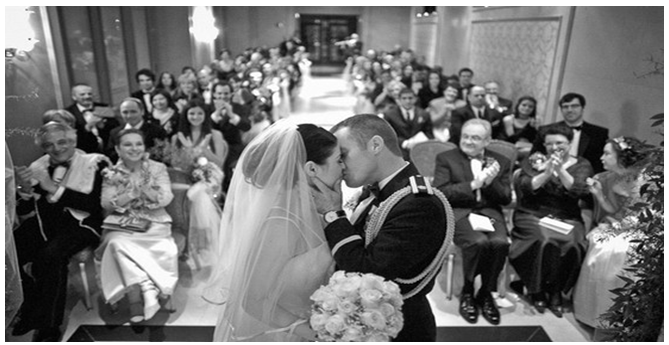 The most widely anticipated moment of the night is the first kiss between the new husband and wife. Here is a fresh new perspective to capture this important milestone. Have your photographers stand behind the altar in order to get your guests in the picture. It’s a great angle to capture the memory and remember who was there to share this very special moment of your wedding day. The perfect first kiss picture! 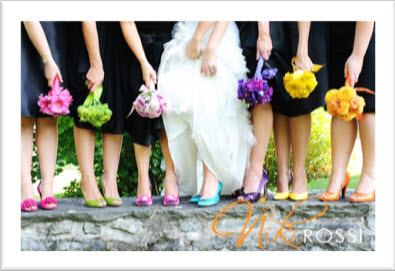 When you get a chance to sneak away with the bridal party for pictures, consider this idea. Have each member of the bridal party hold up one letter to spell out a message to your guests. This is a great idea for thank you cards that are personalized and will help preserve the memory of your special day weeks after it has already taken place. Refresh your guests’ memories and let them relive the festivities by sending out a thank you card with a photo like this one! These are just a few fun suggestions for pictures to try and get on your special day. Looking through your wedding album days, months, even years down the line will bring a smile to your face, especially if you see these extra special memories captured on paper. Everyone knows the wedding day is all about the bride, but what about the maid of honor? 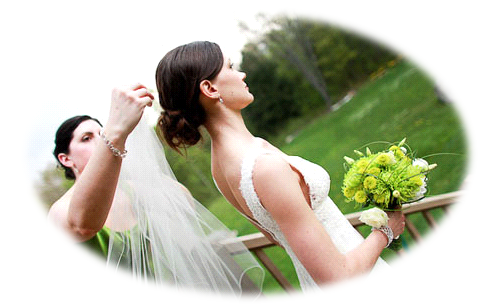 As your right hand woman, your maid of honor will be responsible for a good amount of the planning for your big day. Traditionally, she would be the organizer of your bridal shower, the planner of your and bachelorette party, and one of the first to toast to you and your husband as a married couple. She is the closest female to the bride, therefore investing a lot of trust and responsibility in her to make your special wedding day everything you could dream of. 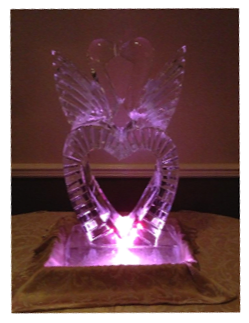 Over the past 50 years, The Westwood has witnessed many beautiful maid of honor toasts, as well as personal touches such as cakes, favors, and even centerpieces created by maids of honor for their best friend, the bride. While it is a gratifying title to be given, being a maid of honor comes with a lot of responsibility! 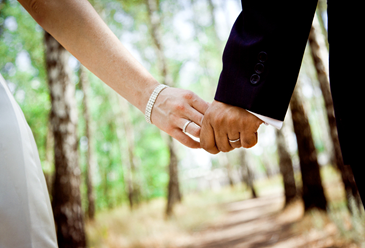 The Westwood offers the following tips for our Westwood maids of honor and brides to be. First, we start at the beginning with save the dates and invitations. The maid of honor can assist in building and maintaining the guest list for the newly engaged couple while the bride tends to bigger necessities such as reception sites, entertainment options, and themes or color schemes. Managing the guest list is a simple way to take a lot of stress off the bride to be, while freeing up some of her time and effort. 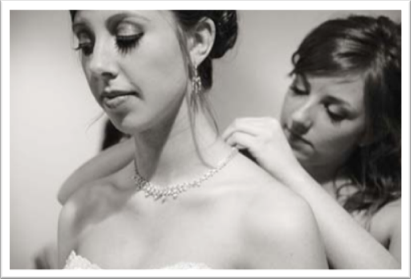 Another way your maid of honor can assist you is by attending appointments with vendors. It is very common for new couples to both be full time workers, which can make it difficult to arrange meetings with vendors. Who better to tag along for an appointment your hubby to be can’t make it to then your maid of honor? It could actually be more productive! Have you ever tried asking a man his opinion on anything design oriented??? Girls could have a lot more fun with the creative aspect of the weddings while the hubby is off at work. It’s also a great opportunity for some girl time, which is key to relieving any bridal stress! The maid of honor is often the unsung hero of many weddings, but she plays a crucial role in the planning, organizing, and day of production of the entire wedding day! Here at The Westwood, we love seeing the dynamic between our Westwood brides and their bridal party, particularly the main of honor. It is very touching and certainly speaks volumes about the importance of having girlfriends you can count on! What comes to mind when you think of a “classic” wedding? 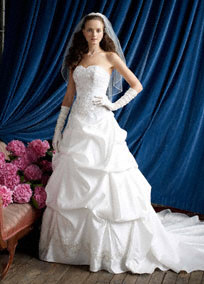 The white wedding dress? Pastel color schemes? 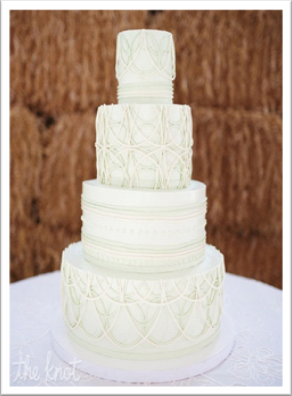 The tiered wedding cake? Vintage pearls? Floral centerpieces? A classic wedding style can be simple and elegant! Whatever your idea of a classic wedding is, The Westwood is the perfect reception site to tailor your wedding day to meet all your dreams and expectations! Tradition is deep-rooted here at the family owned and operated banquet facility as it has been for 50 years now. With our full service catering and in-house floral department, we can customize your Westwood Wedding from the menu to the room set up and over-all aesthetics! If your idea of classic is vintage, key pieces for your reception could be ornate accessories adorned with broaches or pearls, rustic wooden centerpieces, birdcage centerpieces or cardholders, vintage lamp centerpieces, China tea cups, and ornate cakes stands or silver dishes. A classic wedding theme could also incorporate a black and white color scheme. Black and white is a clean, sophisticated color scheme that stays true to tradition. Your classic wedding reception could also incorporate a lot of lace or burlap pieces, a combination that is trending as well such as table runners or centerpiece materials. Tiered wedding cakes are a common image conjured up by brides to be, but why not add a modern twist to this classic wedding staple by including a tier of cupcakes or mini-cakes? It offers your guests a variety and shows off your creativity and trendiness while maintaining a sense of tradition. No matter what your idea of classic is, our team at The Westwood is full of creative ideas to bring your dream wedding vision to life!